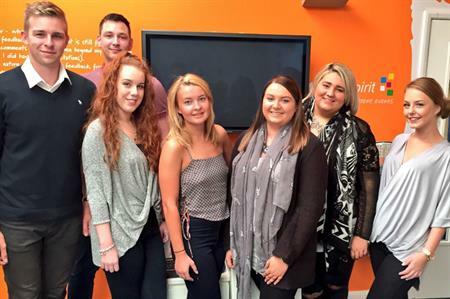 Seven undergraduates have joined agency Team Spirit on year-long placements, as part of its largest ever student intake. The Manchester-based company, which launched its graduate programme in 2002, is partnered with several universities, including The University of Central Lancashire and The University of Huddersfield. For former students, the experience has led to fulltime employment, with six of the agency’s current employees completing placements before joining. Laura Derbyshire, events and revenue director at Team Spirit, said the students will be fully immersed in the running of the business. "Each of them will not only experience the day to day planning and management at our HQ but they will frequently be on location helping deliver events with our team of Event Managers, Operations Managers and Event coordinators."